In this May 25, 2017 photo, baby eels swim in a bucket after being caught near Brewer, Maine. Officials with the interstate Atlantic States Marine Fisheries Commission voted Tuesday, Oct. 17, to leave Maine’s 2018 quota for baby eels, or elvers, at 9,688 pounds. Maine fishermen can catch the same amount of baby eels next year, after an interstate fisheries board decided not to change the state’s annual quota. The Atlantic States Marine Fisheries Commission, meeting Tuesday in Norfolk, Va., voted to leave the statewide cap on baby eels — also known as elvers or glass eels — at 9,688 pounds, according to a commission representative. The commission was expected to leave the state’s quota at that level, the same as for the past three years, even though Maine fishermen have argued that the quota could increase without harming the sustainability of the fishery. Each year since 2014, when Maine first had to adhere to a statewide harvest quota, the harvest has fallen short of the maximum limit, though it has come within a couple hundred pounds within each of the past two years. Elvers are harvested in Maine each spring beginning in late March, until either early June or when the statewide quota is reached, whichever comes first. For the past four years, the fishery has generated between $8 million and $13.4 million in gross statewide annual revenue for Maine’s approximately 1,000 licensed fishermen. During that time, the average annual statewide price offered to fishermen has ranged from $874 to $2,171 per pound. In 2012 and 2013, when there was no catch limit, Maine’s annual elver harvest topped 21,000 pounds and, the following year, 18,000 pounds. The value of the harvest in those years was $40 million and $32 million, respectively. The weather has a significant impact on Maine’s elver harvest each spring. Both 2012 and 2013 were fairly warm, resulting in unusually large catches, while cold weather in other years has kept catches low. 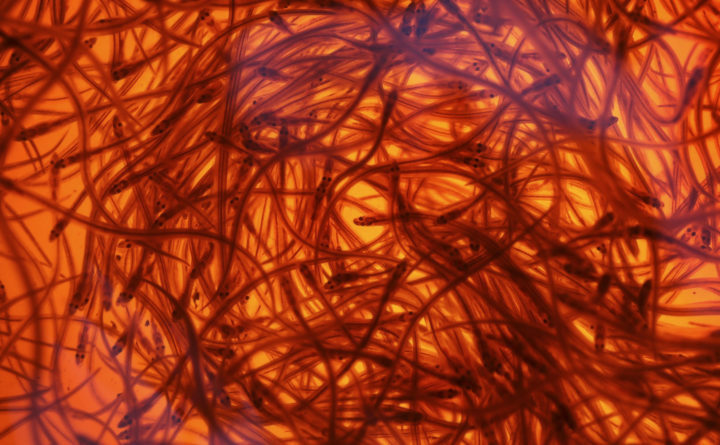 The vast majority of elvers harvested in Maine are shipped to east Asia, where they are raised in aquaculture ponds for the region’s voracious seafood market. Maine and South Carolina are the only states on the East Coast where elver harvesting is permitted, and South Carolina’s fishery is much smaller than Maine’s.